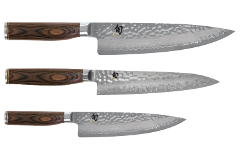 High-quality stainless steel and superb craftsmanship give Shun Premiere knives the performance you demand. 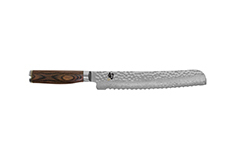 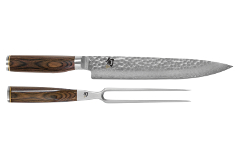 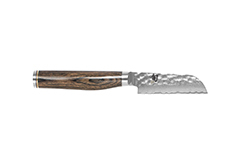 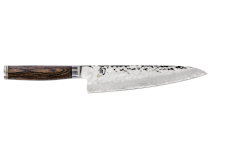 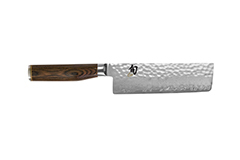 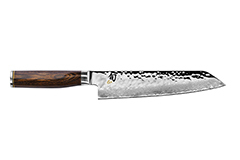 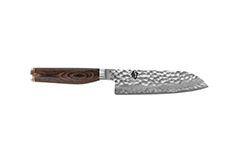 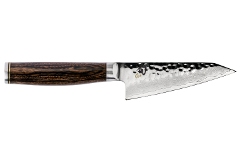 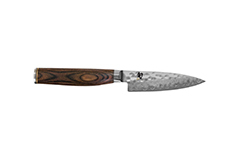 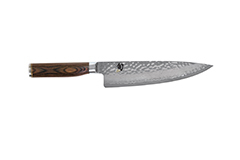 To craft a Shun Premier knife, a long-lasting VG-MAX "super steel" core is clad with 34 layers of stainless steel. 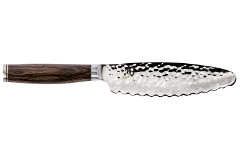 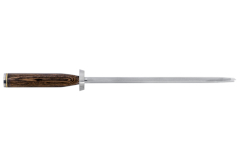 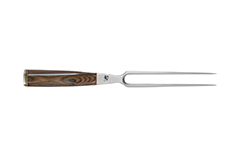 It's then hand-hammered for a beautiful finish with performance similar to a hollow edge knife. 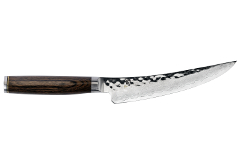 It's great at keeping foods from sticking to the blade as you slice. 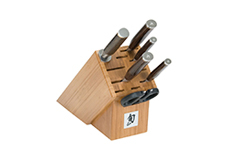 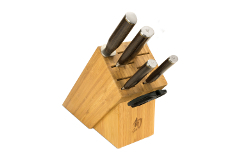 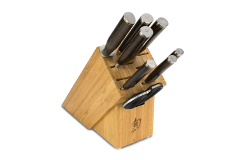 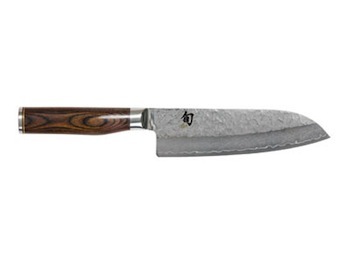 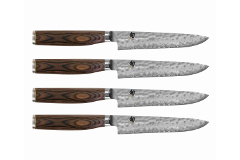 These knives also feature a handle with a walnut finish. 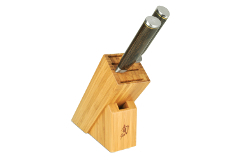 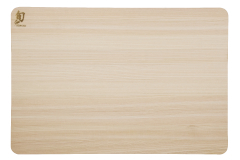 Made in Japan, it's crafted from a combination of wood and resin resulting in a sanitary, germ resistant handle.